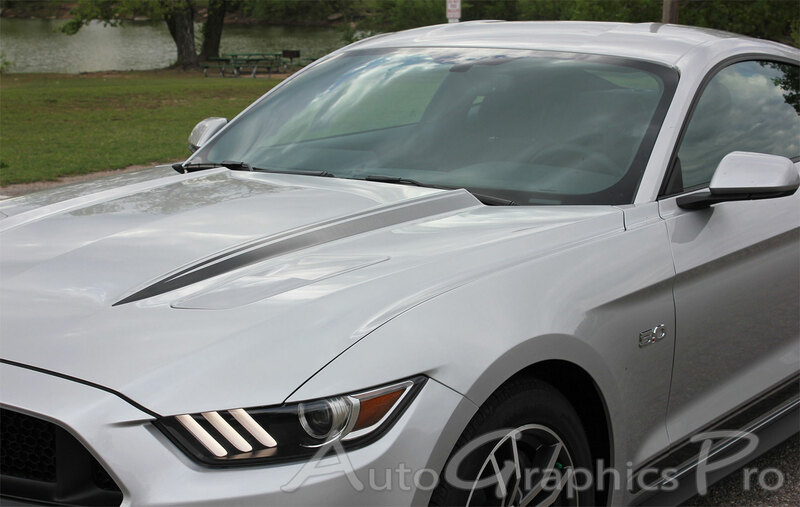 The Mustang FADED HOOD SPEARS series vinyl graphic stripes kit for the new 2015 2016 2017 Ford Mustang is a digitally printed on clear laminate and an OEM inspired California Special Hood Spear Style Stripe Kit for the new Mustang, a remarkable upgrade breaking up the wonderful body lines of this distinctive Ford model, with an aggressive style that captures a true modern muscle car look and feel. 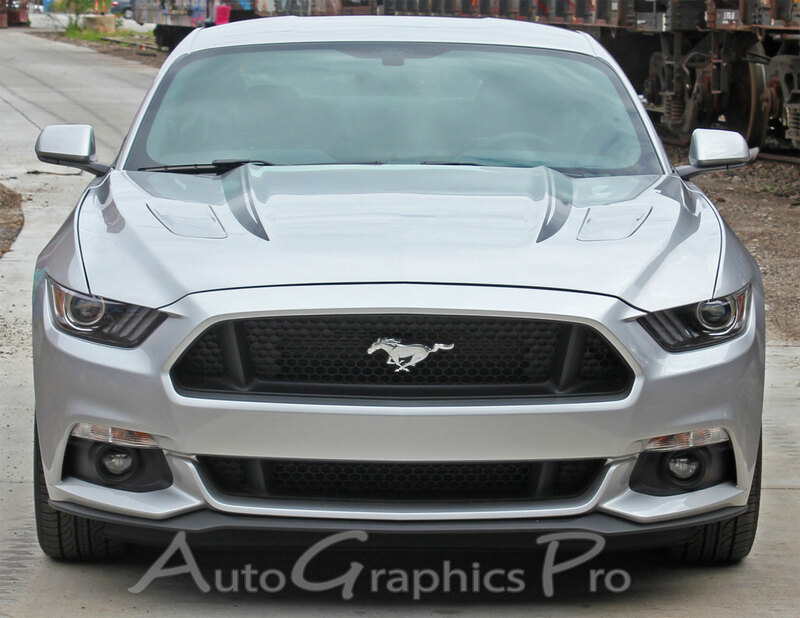 Add this sensational style with an easy to install vinyl graphic accessory package for an amazing transformation for your new vehicle! 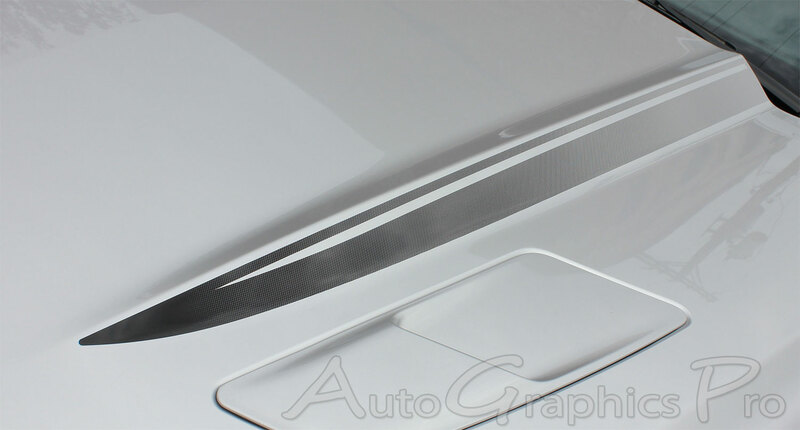 The FADED HOOD SPEARS series vinyl graphic kit includes all sections (driver and passenger sides) as shown, ready to install and arranged in a way for quick and easy installation! 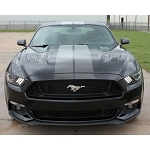 While matching the specs of many factory stripe kits, the CALI vinyl decals stripe will cover the hood sections on both sides of the vehicle. 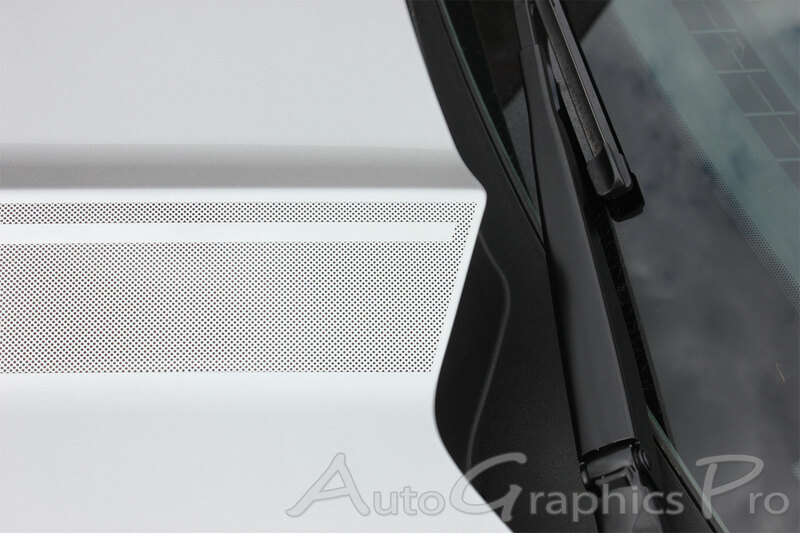 This is a very popular upgrade offering a classic design with a modern innovative style. 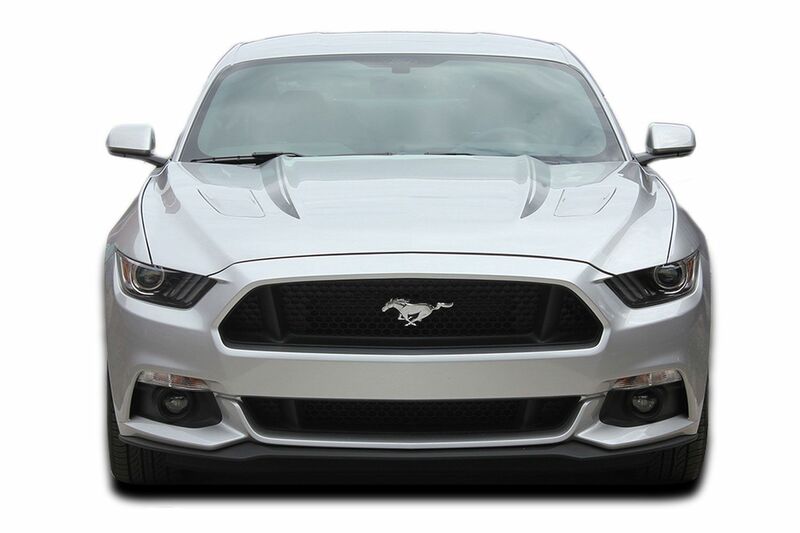 The new Ford Mustang is a wonderful addition to this generation of modern muscle cars, and these vinyl stripes and decals will add a needed customization for a more OEM look without the factory price! 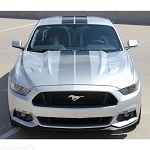 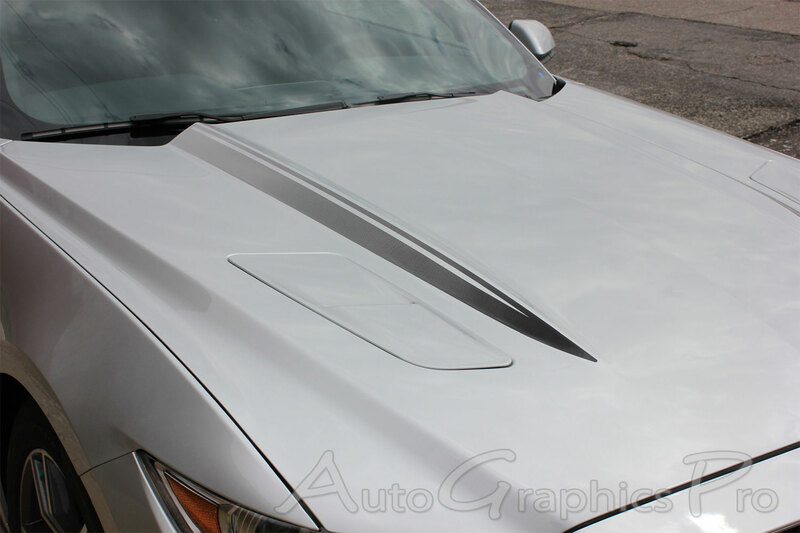 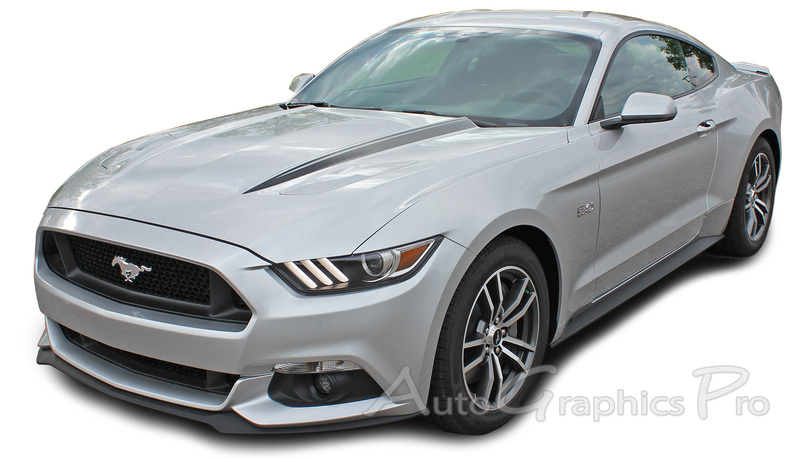 This Ford Mustang FADED HOOD SPEARS vinyl graphics kit is designed to fit the body style and model indicated above and is manufactured using 3M High Performance vinyl, and available in many vinyl color choices and styles. 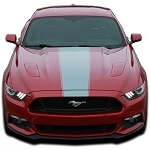 This design fits the Ford Mustang Model shown in the description and is inspired by the V6, GT, GT/CS, GT500, GT350, Lemans, Fastback, Convertible, Super Snake, Ecoboost, Bullitt, Shelby models. 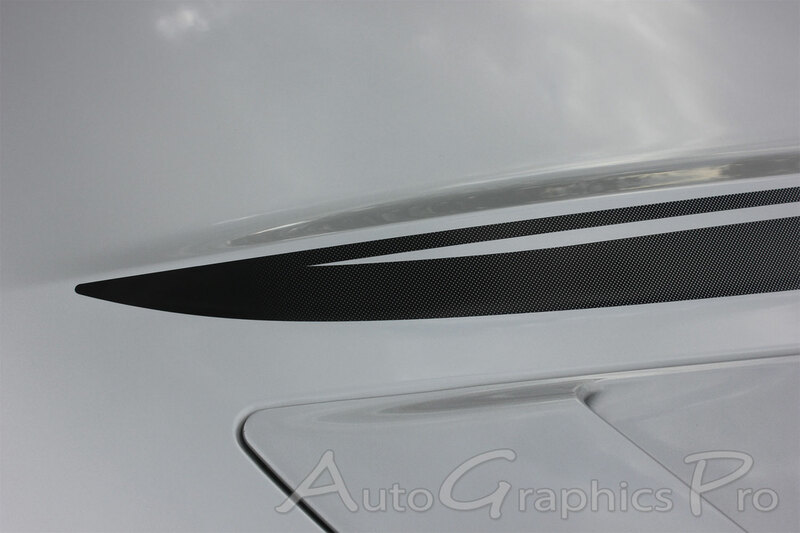 Get your FADED HOOD SPEARS Stripes, FADED HOOD SPIKES Rally Lemans Stripes, FADED HOOD Racing Stripes, FADING Offset Rally Racing vinyl graphics today!